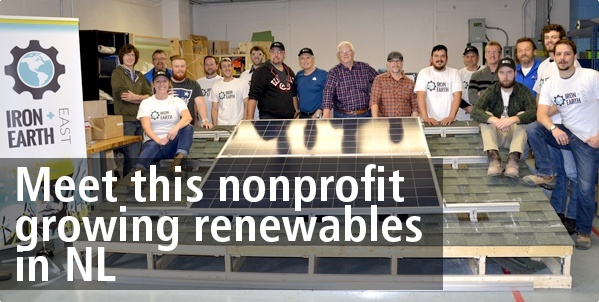 Iron & Earth East is a St. John's-based nonprofit that's making a difference in renewables as well as its community. In addition to training electricians in renewable energy-based skills, Iron & Earth East is also partnering with the Autism Society of Newfoundland and Labrador to build the 365 Greenhouse: a solar greenhouse that will produce fresh vegetables for the Autism Society's on-site restaurant. The solar project is funded in part by Bullfrog customers across Canada—read the full story. BASF and Bullfrog Power recently announced a new partnership that will see BASF choose green electricity for its Canadian corporate headquarters, as well as seven production facilities in Alberta, Saskatchewan, Quebec and Ontario. BASF’s renewable energy commitment will reduce its CO2 emissions footprint by approximately 1,520 tonnes annually. Learn more about how BASF focuses on sustainability. Christine Fischer Guy is a novelist and writer in Toronto who has bullfrogpowered her home since 2008. In 2014, Fischer Guy published her first book, The Umbrella Mender—a fictional retelling of a real-life tuberculosis epidemic in 1950s Moose Factory, Ontario. In her interview, she speaks with Bullfrog about how she writes and why she chooses green energy. Welcome Maybee Brewing Company to the bullfrogpowered community! The Fredericton, N.B.-based brewery is the first brewery in Atlantic Canada to choose both green electricity and green natural gas with Bullfrog—and also recently celebrated its second birthday. Cheers! Since 2016, the bullfrogpowered Ecology Action Centre (EAC) has been involved in developing solar projects in Nova Scotia. The EAC wrote a workbook for a pilot program in the province and has also supported a number of community-owned projects, including a 15 kW project in Waycobah First Nation and a 7 kW project on the EAC’s own building. Learn more. Attend the Green Living Show—on us! Live in the GTA and are interested in all things green? Bullfrog is back at the Green Living Show this year—and we want you to be there! Register for a complimentary pass by using the code BF2018. Don't wait—quantities are limited. And don't forget to drop by our booth (#1322)! Bullfrogpowered Urban Systems' new online series, "Beyond Our Edges," profiles staff members who work toward sustainable cities—both in and out of the office. For example, learn about Shoni Madden (above), and her passion for clean, safe city transportation. Read on!